I love the unique desk unit, the floating stairs, custom clothes organization area and swing-out stools at the bar. They chose such gorgeous wood for everything. 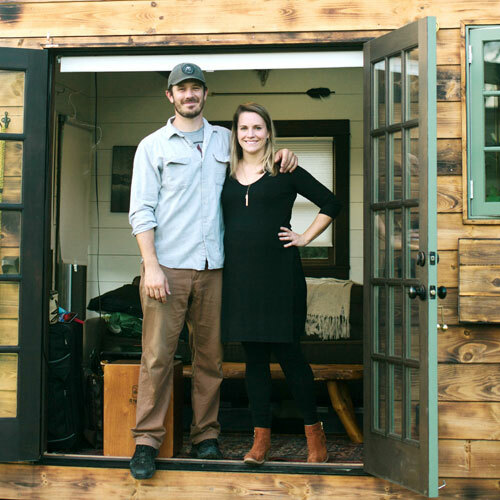 It's so cool to see how creative people are being with tiny homes these days! Sounds like the owner had a big hand in designing the house as well - I'm curious to see how it looks when it's furnished. Have you seen any gorgeous tiny homes lately? I'd love to see!